The discovery of neuromodulators to treat hyperfunctional lines was the cosmetic shot heard around the world and ushered in the most popular cosmetic procedure in the world. When I began injecting Botox in 1996, it was a pretty much unheard of cosmetic therapy and the “pretty poison” was only used by those early adapters. Back in the day, patients wanted paralysis, plain and simple. If I injected a patient and they had even minimal muscle movement, they considered it a failure and wanted a refund. It was not hard (still isn’t) to pick out those patients with mask-like expressions from total upper facial paralysis. Things have changed greatly in the past decade. Botox (and now Dysport, and soon to be others) has become an everyday procedure and the fear from “the toxin” has diminished. What has also diminished is the desire for patients to look “done”. Contemporary cosmetic surgery patients desire the ability to retain positive animation while stopping negative animation such as scowling. After being injected for years, most patients now have an appreciation for exactly what they want their Botox to do. Whereas in the past, they came in for injection and said “do what you think I need”, now they come in with their own tailor made request of units and injection patterns. Although this bothers some surgeons, I welcome this “Botox customization”; after all, we are here to please the patient. 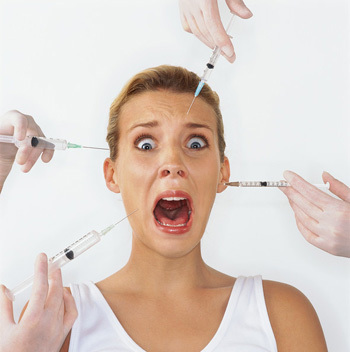 It is now common for patients to stretch or disperse their Botox units to achieve what they want. I also feel that the sour economy we have seen over the last several have added to this where patients are trying to get more for their buck. The most common customizations I see are in the glabella and frontalis. Whereas the traditional 5 point glabellar injection is still the most common treatment, numerous patients present and request a more central glabellar treatment because fear of “lowering their eyelids”. The same thing has occurred in my practice with the frontalis. First of all the frontalis was the second most requested treatment in my office for over a decade, but has fallen to number three with the lateral canthal regions (crow’s feet) now being second. The main reason for backing off of the frontalis is the fact that when coupled with glabellar treatment, a significant loss of animation can occur. Again “my eyelids get droopy” (the real truth about this later) is a complaint from aggressively treating both glabella and frontalis. 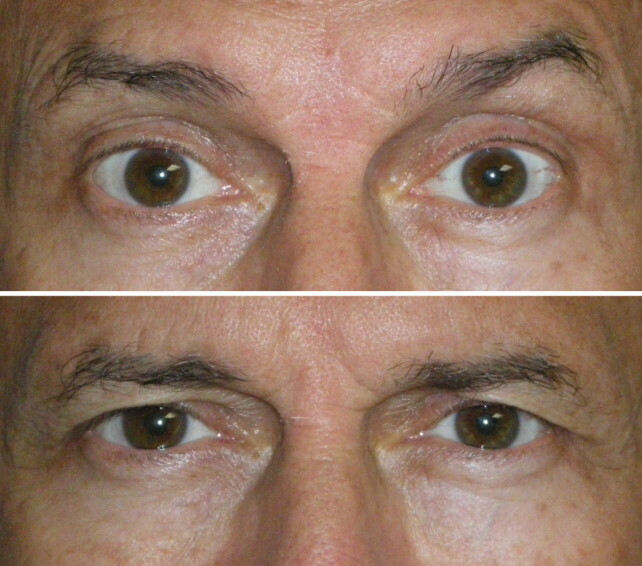 This trend has led to my frequently injecting the glabella and using “half the units” on the frontalis. Cosmetic surgery patients are finicky, but when patients feel that they have “droopy lids” from Botox, they can become livid and rebellious. Proportionately, it seems patients can get madder about this condition than most other “real” cosmetic surgery complications. Patients must understand the pathology of the “droopy Botox brow”. Botox cannot make extra skin, but it can prevent patients from elevating their brow. Many females, especially those with excess lid skin, perpetually elevate their brows. It is subconscious and they cannot help or control it, they simply spend their waking hours with their brows elevated. Ask any surgeon who performs brow lifts and they will confirm that it is impossible to take a before picture on many women with their brows relaxed. Herein lies the problem. When patients with excess upper eyelid skin raise their brow (via the frontalis muscle) they have the appearance of having less excess upper eyelid skin because the skin is stretched. In some cases, they can also see better as the obstructing skin is elevated, hence improving vision. If these patients are aggressively treated with a neuromodulator and cannot elevate their brow, they notice the extra eyelid skin (usually about 3 days after injection while applying eye makeup) and can become quite upset. They think that the Botox gave them extra skin (impossible) or that they have true upper eyelid muscular ptosis (extremely rare). What they frequently fail to understand is that they are chronic brow elevators and now they cannot elevate to their preinjection level. The picture below is of your truly. Admittedly, I need blepharoplasty or a brow lift. I am bald, so the brow lift is out the window and I am simply too busy fixing everyone else to have my own blepharoplasty. In the top picture, I am raising my brow and I look better that the bottom picture with my brow relaxed. This picture tells the story! It is imperative (especially for novice injectors) to recognize patients (usually older females with excess upper lid skin) who may be at risk for the “low brow”. In these patients, especially those who are getting Botox for the first time, it is best not to inject the glabella and frontalis at the same time. If the patient has a low hairline, the glabellar injection can deactivate a good portion of the frontalis. If the frontalis and the glabella are to be simultaneously injected, it is better to use only 10 units of Botox (or 30 units of Dysport) over the entire frontalis to lessen the effect. Also a good idea on any person is to taper off the Botox units and injections over the lateral brow. Having a good central effect with a lateral tapering effect will still allow brow elevation. Unfortunately, we cannot reverse neuromodulators so an unhappy patient may be unhappy for several months. Fortunately, the lateral brow elevations seems to return before all the toxin is worn off. The inventor of a botulinum toxin reversal agent will be a wealthy man or woman! My advice to novice injectors is to include discussion of the above in the consent and to treat lightly with the frontalis. My advice to patients is to be conservative as more Botox can always be added and to realize they may be in need of a browlift or blepharoplasty.